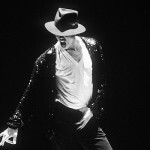 There is no doubt that at the end of his life Michael Jackson had become a polarizing figure in entertainment, but when I think of him I just remember trying to emulate his dance moves and singing “you know I’m bad, I’m bad…” Then when he died in 2009 the world was left in shock. 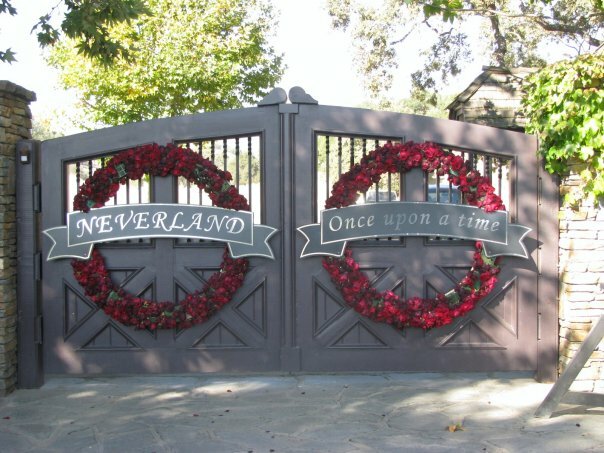 So, when my parents, who live in Florida, and Uncle from Germany, proposed that my brother and I meet them in L.A. so we could drive up the California coast via Highway 1, I knew there was one thing that we just had to do – find Neverland Ranch. Many thought this was a bizarre pilgrimage, as I found out from people at work when I shared my plans with great enthusiasm. I knew not all my family shared my excitement for stargazing and Michael Jackson, so this would require some persuasion. Since my dad had been designated the driver for the trip I knew I only had to get him on board. Luckily, he is pretty amiable to my often random and sometimes fleeting ideas. 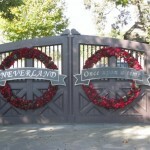 As we set out on our journey through Santa Barbara County that day, I hopped in the passenger seat and navigated our way through the winding roads to the unincorporated area of Los Olivos – home to Neverland Ranch. Located in the Santa Ynez Valley, Los Olivos is a quaint town that is home to just 1000 people. It boasts some of the most beautiful views in the county, and offers a small and charming downtown area with art galleries, wine tasting, shopping and eating that shouldn’t be missed. After a brief stop at Carhartt Vineyard Tasting Room (to rehydrate of course) we were ready to continue our journey. 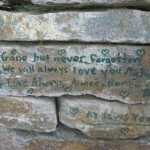 When we arrived there were many people paying their respects – some cried, some sang and some blasted Michael Jackson’s music from their car stereos. The ornate iron gates that had once famously stood at the entrance had long since been replaced with a more modest wooden entryway, which was adorned with wreathes made of red roses in remembrance of the pop star. The guarded gates had been pushed out close to road, so the house was not even in site. 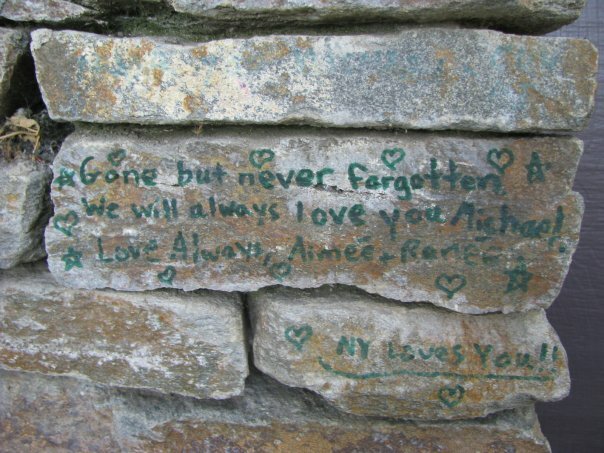 Still people seemed happy to just be in the vicinity of where Michael had once lived, and expressed that through messages they scribbled to him on the gate’s stonewall and the flowers they left. 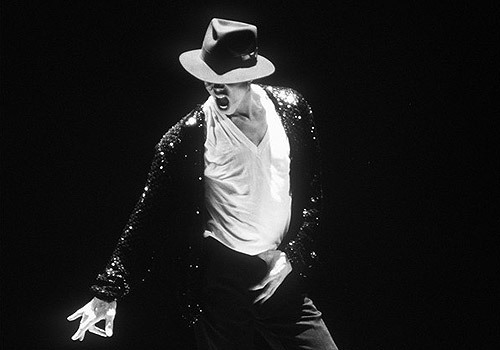 I honored Michael Jackson in the best way I knew how – I struck my best crotch-grabbing pose. Well show us your pose. Your dad sounds like a really good guy. No, a REALLY GOOD GUY! He is a good guy for going along with all my crazy ideas.